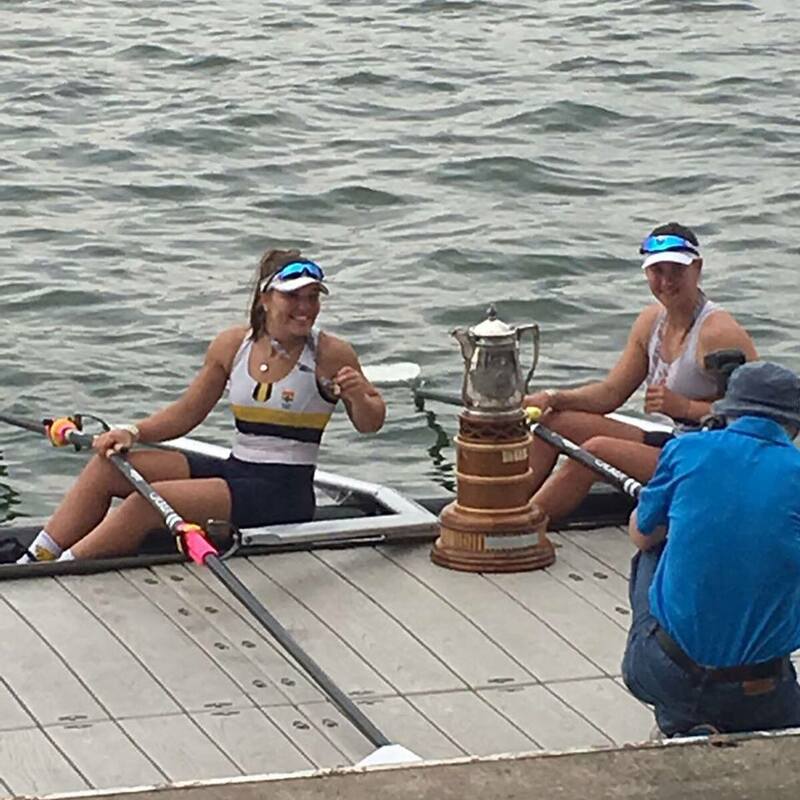 Sydney University Boat Club's 2017 Canadian Henley Team produced a gold medal this morning when Serena Cox and Carina Simpson won the U23 Women's Double Scull at the regatta. From 48 entries eight crews went through to the final with SUBC leading all the way to win by a margin of 1.44 seconds in a time of 7 mins and 2 seconds. SUBC has attended this regatta twice before in 2012 and 2014 with the 2014 men's eight winning the Championship Eight. 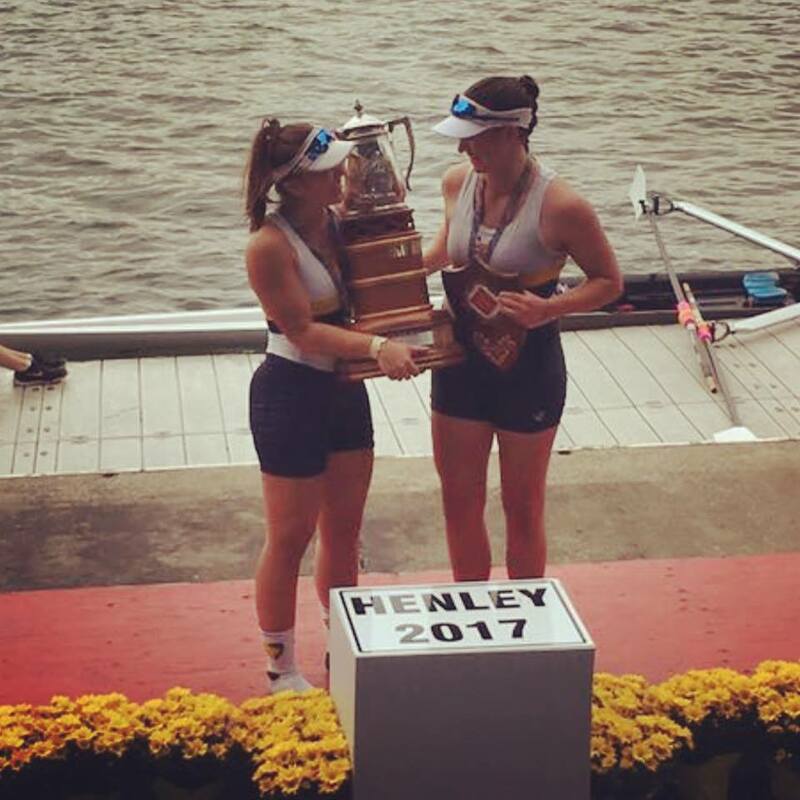 Serena and Carina were presented with the Nancy Storrs Trophy - fitting in that Nancy had been a massive help to previous SUBC teams attending Canadian Henley. Congratulations to Serena and Carina and coach Debbie Fox.